Every pet bird has its own personality, traits and characteristics. The name you choose for your pet bird can reflect its unique qualities. 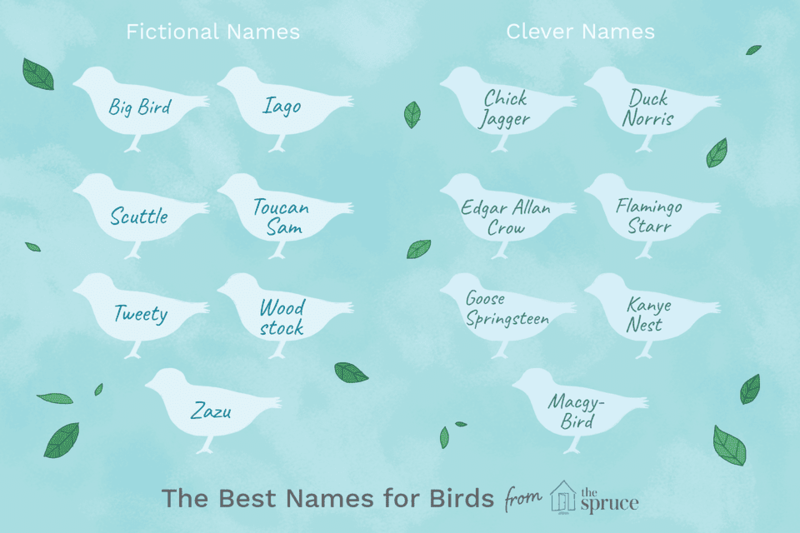 You can browse a list to help inspire you, whether you are naming one bird or a pair. Birds make very smart and fascinating pets if you are dedicated to enriching their environment. Birds are much easier to care for than other pets, but that doesn't mean they will be less demanding. Some birds can be vocal and loud. It's not healthy for them to spend hours in a cage unattended. Birds love attention from people and they are very easy to train. They'll probably even learn things you didn't intend to teach them. However, regular training and interaction is a must. If they aren't given consistent opportunity to interact and learn new things, they will develop harmful behaviors and emotional problems.